Ciao Royals, today’s post is about your online presence. In this new world where Americans alone spend over 10 hours a day on technology, (and this study was back in 2016! ), it should be important to consider etiquette even when online. Etiquette is highly important to a Royal, it may seem like something reserved for the “Snooty” or “snobby” but truly etiquette is the art of social interaction, and good etiquette can open many doors. 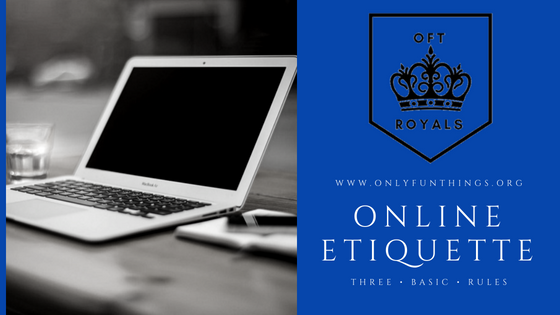 “Is online etiquette even real?” I hear some of you asking, and to answer this I ask of you to look at the rules of any online group, forum, chatroom, or website with comment abilities. Many have similar basics like; “Don’t spam,” and, “No fighting within the group.” This is their form of enforcing basic online etiquette. Online etiquette does exist outside of online groups, but it is less enforced explicitly and more implied. If you do something outside of the social norms online, it is rare for someone to tell you outright, and instead you’ll be met with downvotes, dislikes, angry reacts, sometimes real life eyerolls, maybe even eyeroll emojis. Of course, dislikes/downvotes can be abused by some, like trolls, but often they are an indicator that you have breached the “norms” of whatever website you have posted to. So now that we have discussed the importance of online etiquette, and the existence of consequences for breaking the norms, now we can discuss the “rules.” And what are some current so called “rules” of online etiquette? #1- Read and follow all rules within the group/website/forum you are posting to. Online groups and forums are places for like-minded people to come together to discuss their favorite topics. Often groups/forums are designed with specific topics and themes in mind to discuss. If you search, there are Facebook groups for just about everything you can imagine. I am in ones for monster high fans, bloggers, youtubers, mental health support, even ones for my specific class in college. And each one of these groups has its own rules. Following these rules is key to remaining in these groups. It’s not like many of the rules in online groups are hard to follow. Many of the basics are things like I mentioned above, about not spamming or fighting. So, do your part to keep any online group/forum you join uncluttered/peaceful by following their rules. #2- Don’t spread chain mail / chain comments. 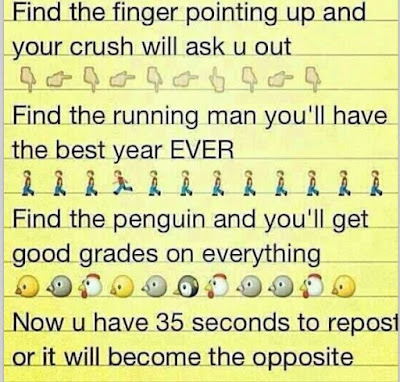 Or, now you’ll see often on Facebook, chain messages are often hoaxes. What do I mean by this? Did you ever see the thing going around Facebook a few years ago saying “post this to your story or Facebook will shut down your account”? 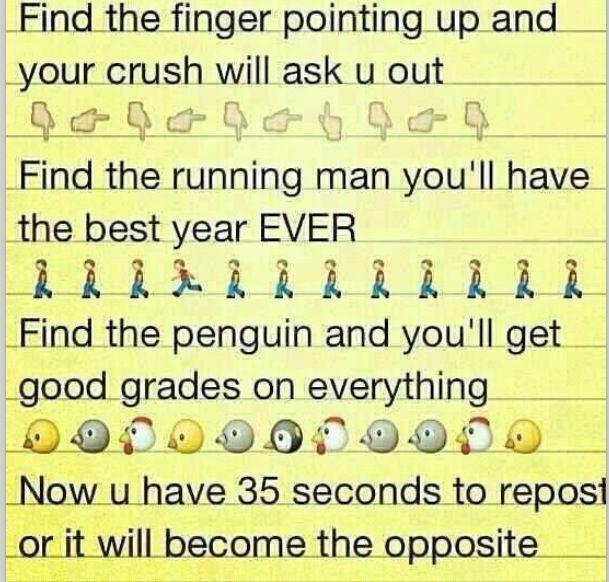 Chain messages similar to that one have taken Facebook by storm. So why do I bring this up? Because one of the simplest “rules” of online etiquette that often gets broken is this, “do not forward chain messages!” Chain messages are annoying and flood people’s home page feeds/ comment sections with nonsense. #3- Know the difference between constructive criticism and hate comments. Do not leave hate comments on people’s videos, posts, pictures, etc! Do not spam someone’s account with hate comments, this is unkind and unnecessary. Know the difference between constructive criticism and hate. The above infographic was made by me using Canva and is free to use on any website! So, I hope you all learned something today regarding Online Etiquette. Thank you so much for reading, and I’ll see you again on Friday!